Achoo! Tis’ the season of colds and flu viruses. It’s important to understand what suppresses and strengthens your immune system so that you can keep it in tip top shape too dodge those nasty bugs! What suppresses the immune system? Vitamin D Deficiency. Vitamin D has an important job in keeping the immune system regular. Vitamin D deficiency is not only linked to outcomes like immune system-related diseases; it is also progressed by the diseases themselves, thereby making the condition worse. Be sure to soak up sunshine whenever possible, or purchase a high quality Vitamin D3 supplement to ensure absorption. Negative Attitude. Our mental attitude affects the immune system. Believe it or not, if you think you can recover from illness, your immune system actually works better. Negative feelings depress the immune system. Develop a positive mental attitude. Your mind and your attitude have a great deal of influence over your health. If you are determined to improve your health and believe you can, you most likely will get better. You have to have faith and think positively. Lymph Blockage. When the lymph system is not efficient the cells become dry, fluids viruses, bacteria and parasites can stay trapped within the lymphatic system which can lead to further ailments and may hasten the ageing process. One sign of detox overload is when it takes until lunchtime before the person feels as though they are awake. Keep your lymphs draining properly by exercising and stretching on the regular. Sleep Deprivation. Fatigue increases your susceptibility to illness – you may have noticed you’re more likely to catch a cold or other infection when you’re not getting enough sleep. Like stress, insomnia can cause a rise in inflammation in the body – possibly because lack of sleep also leads to an increase in the stress hormone cortisol. Although researchers aren’t exactly sure how sleep boosts the immune system, it’s clear that getting adequate amounts – usually 7 to 9 hours for an adult – is essential to good health. Too Much Sugar or Processed Foods. Consuming too much sugar suppresses immune system cells responsible for attacking bacteria. Even consuming just 75 to 100 grams of a sugar solution (about the same as in two 12-ounce sodas) reduces the ability of white blood cells to overpower and destroy bacteria. This effect is seen for at least a few hours after consuming a sugary drink. A diet high in saturated fat has a similar effect. Processed foods put a strain on your lymphatic system. Avoid white bread, candy, processed meats such as luncheon meats and hot dogs, fast foods, canned foods and packaged dinners, cereals and baked goods. Lack of Exercise. Sitting at your desk all day cannot only make you feel sluggish, it can leave your immune system sluggish, too. Studies show that regular, moderate exercise – like a daily 30-minute walk — increases the level of leukocytes, an immune system cell that fights infection. When you’re a non-exerciser, your risk of infections — such as colds — increase compared to those who exercise. Being inactive can weaken your immune system indirectly, too. A sedentary lifestyle can interfere with sleep quality at night and can lead to obesity and other problems that increase your risk of illness. What strengthens & super-charges the immune system? Friendly Bacteria. Not all bacteria are created equal. Lots of it we actually need to stay strong and healthy. Foods that contain friendly bacteria enhance immune function like sauerkraut, kefir, yogurt, kombucha, miso, and tempeh. A high quality probiotic supplement is great too, just be sure it’s in the refrigerated section (because then you know the bacteria is still alive). Stress Management. Everyone has some stress in his or her lives. And short-term stress may actually boost the immune system – the body produces more cortisol to make “fight or flight” possible. But chronic stress has the opposite effect. It makes you more vulnerable to illness, from colds to serious diseases. Chronic stress exposes your body to a steady cascade of the stress hormones cortisol and adrenaline, which suppress the immune system. Learn how to breathe properly and do it as often as you think of it throughout your day or during moments of stress. Practice yoga, meditation or any other activities that help you relax. Water. This single most important nutrient helps your cells to properly communicate the healing messages, critical for an effective detox, and vital for all your body systems to function correctly to boost immune system. Water helps maintain healthy energy. Keep in mind dehydration promotes cancer cell growth. Drink ½ your weight in ounces of pure water each day. Antioxidants. A diet rich in antioxidant vitamins and nutrients can boost immunity to help fight infection. Your body produces free radicals — molecules that can damage cells. 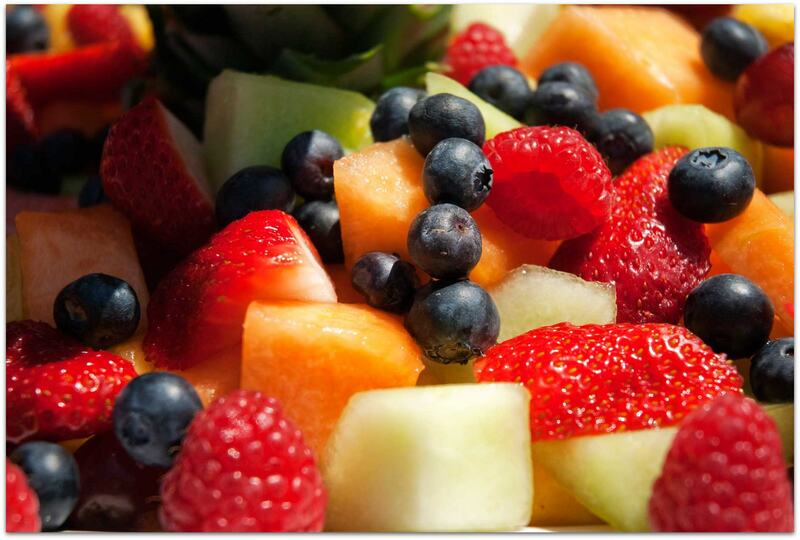 Antioxidants help neutralize free radicals so they can’t do any damage. Researchers believe that when the balance between free radicals and antioxidants is upset, it can contribute to developing cancer and heart disease, as well as age-related diseases. Top antioxidants include vitamins C and E, plus beta-carotene and zinc. To get enough of these antioxidants in your diet, experts recommend eating an abundance of brightly colored fruits and vegetables, including berries, citrus fruits, kiwi, apples, red grapes, kale, onions, spinach, sweet potatoes, and carrots. Other immune-boosting foods include fresh garlic, which has claims of antiviral and antibacterial properties, and old-fashioned chicken soup. A study showed that if you do come down with a cold or the flu, a bowl of steaming chicken soup (organic & grass-fed, preferred) could boost immunity and help you get well faster. Eat natural foods that cleanse your lymphatic system. Some lymphatic cleansing foods are dark green vegetables, ginger, sea kelp, turmeric, citrus fruits such as lemons and oranges, flax seeds, wheatgrass juice, radishes and garlic. In addition, mushroom varieties such as reichi, maitake, and shiitake may have some influence on immune function. Furry Friends. Like any enjoyable activity, playing with an animal can elevate levels of serotonin and dopamine — nerve transmitters that are known to have pleasurable and calming properties. Addicts take drugs like heroin and cocaine to raise serotonin and dopamine, but the healthy way to do it is to pet your dog, or hug your spouse, watch sunsets, or get around something beautiful in nature. Body Scrubbing. Body scrubbing may be the single most important therapy you add to your detox program. Your skin is your largest elimination organ. It releases a pound of waste each day and will be the first organ to show symptoms of imbalance or toxicity. The skin is often called the 3rd kidney because it eliminates a quarter of the toxins from the body (the lungs are the 2nd kidney). If your skin cannot efficiently release toxins, you may experience rashes, acne, hives, itchiness, body odor, or even eczema and psoriasis. Body scrubbing can reduce the length of infections and illness by moving the toxins more quickly through the system and stimulating the lymph to move waste matter out. Before showering, dampen a washcloth or body brush with hot water and ring out. Gently start to scrub the body in circular motions beginning with the extremities working your way towards your heart, scrubbing each and every part until the skin is warm and pink. Most importantly: LAUGH! Comedy is good for you. Laughing decreases the levels of stress hormones in the body while increasing a type of white blood cell that fights infection. In fact, even just anticipating a funny event can have a positive effect on your immune system. Learn more about the Conscious Connection’s Resident Holistic Health & Yoga Expert, Lauren Forney, HHC, RYT at www.centeryourhealth.net. Lauren Grogan is a Holistic Health Counselor and Registered Yoga Teacher based in Red Bank, NJ. As our Senior Health Editor, she’s dedicated to educating our readers on the benefits of healthy living so they can make consistently wise choices regarding their nutrition and overall well-being. Our exclusive digital edition goes out once a month and is a highlight of our best content.